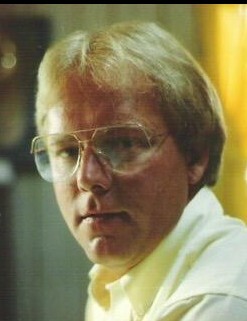 Jacky “Freebird” Lynn Free, 65, of Morristown, Tennessee, passed away, Tuesday, March 26, 2019 at 5:52 pm in Green Cove Springs, Florida with family by his side. Jacky is survived by his wife Patricia “Patty” Provencher Free of 35 years, son Brian Wesley Free (Christa), daughter Jessica Lynn Free, son Kevin Christopher Free, sister Ann Gulley (Curt), and many loving nieces, nephews and extended family. Jacky is preceded in death by his parents, William Ester and Dorothy Jane Seahorn Free, sister Jo Ann Roberts, and brother Billy Ray Free. Jacky will be laid to rest at Emma Jarnagin Cemetery in Morristown, Tennessee amongst family. Jacky was born April 29, 1953 in Morristown, Tennessee. He graduated from Morristown East High School in 1971 where he was known as an extraordinary athlete amongst his peers, excelling in baseball and basketball. His favorite teams were the Tennessee Volunteers and the Kentucky Wildcats. Jacky attended the University of Tennessee and Walter State Community College. He began a surveying career for Barge, Waggoner, Sumner and Cannon, Inc. In the early 1980’s he moved to Atlanta, Georgia to pursue a career in Telecommunications. On December 29, 1984, Jacky married Patty Provencher from Ontario, Canada at St. Patrick Catholic Church in Morristown, Tennessee. In 1994, Jacky and his family moved to Brunswick, Georgia where he worked for Bellsouth (AT&T), specializing in outside plant design for copper and fiber-optic cabling. He returned to contract engineering as an Area Manager in the Jacksonville, Florida area for Byers Engineering and ended his career as Project Manager for SourceOne Corp, working closely with his two sons. He spent many years building memories with his sons as a Scoutmaster with Cub Scout Pack 202 and later Boy Scout Troop 202. Jacky supported his daughter’s passion for sports, horses, and academics with love. Jacky and Patty were both active members of St. Francis Xavier Catholic Church in Brunswick, Georgia and the Golden Isles Shag Club. Jacky was a joyful, loving and faithful husband and father. He was a man of strong moral conviction and had a persistent desire to make life better for everyone around him. Jacky taught his children the importance of integrity, the impact of attitude on life, and that family always comes first. He was known for his contagious smile, booming laughter, and ability to light up any room he walked, or danced, in to. He had a larger-than-life personality and never met a stranger. Jacky was an animal lover, enjoyed working with his hands, relaxing on the beach or at the pool, and spending time with the people he loved. His jovial presence will surely be missed, and the positive impact of his spirit will remain in our hearts forever. Active pallbearers will be Jacky’s sons, Wesley and Kevin Free, and lifelong friends Mike Nies, Stanley Inman, Stanley Stewart, and Steve Shockley. Honorary pallbearers will be his nephews Randy Gulley and Corey Free, brother-in-law Mike Provencher, nephews Jacob and Nicholas Provencher, and lifelong friends David Smith and Morry Trent. If Jacky Free or any of his family members have touched your lives in any way, we welcome you to attend: a visitation in the East Chapel of Allen Funeral Home in Morristown, Tennessee on Thursday, April 4th, 2019 from 6-8pm; a funeral mass at St. Patrick Catholic Church in Morristown, Tennessee on Friday, April 5th at 2pm; Interment in Emma Jarnagin Cemetery in Morristown, Tennessee, immediately following the funeral mass; a celebration of Jacky’s life at the Elks Lodge in Morristown, Tennessee at 5pm, following interment. There will also be a funeral mass at St. Francis Xavier Catholic Church in Brunswick, Georgia on Saturday, April 27th at 2pm, with a celebration of Jacky’s life to follow (TBA). A special thank you to Jacky’s wonderful team of doctors and nursing staff in Brunswick, Georgia, Jacksonville, Florida, and at Kindred Hospital in Green Cove Springs, Florida for their loving care and support. Also, a special thank you to Jacky’s longtime friends at Allen Funeral Home for the arrangements. Jacky has requested any memorial donations be made to the Boy Scouts of America online at https://www.scouting.org/.